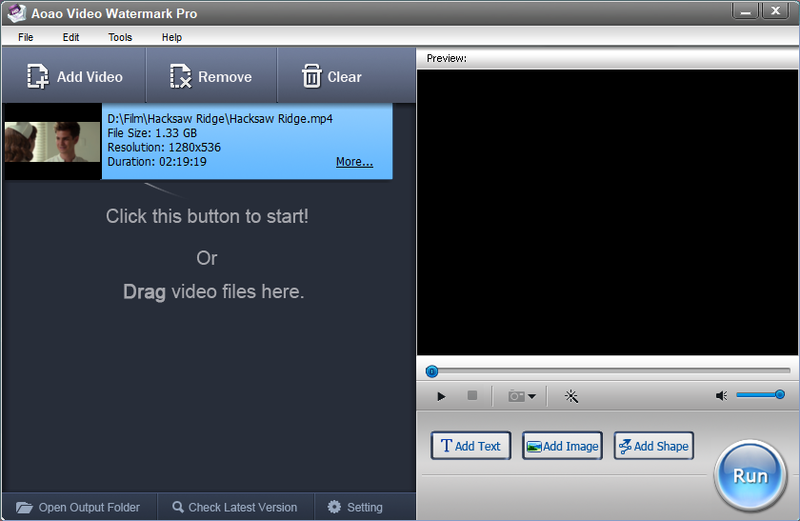 Add Watermark to Video Files Whatever AVI, MP4, FLV, MOV, MPG, SWF or any other Video Formats! 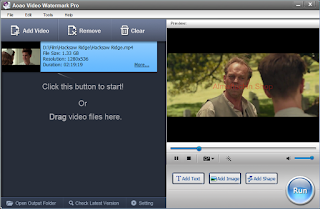 Support a wide range of video formats: AVI, MP4, FLV, MOV, MPG, etc. Worry your shared videos might be used without your permission? Want to let viewers know the original author when people watching your shared videos? With Aoao Video Watermark Pro, you can add your copyright information to your videos to avoid the unauthorized use and ensure the ownership. 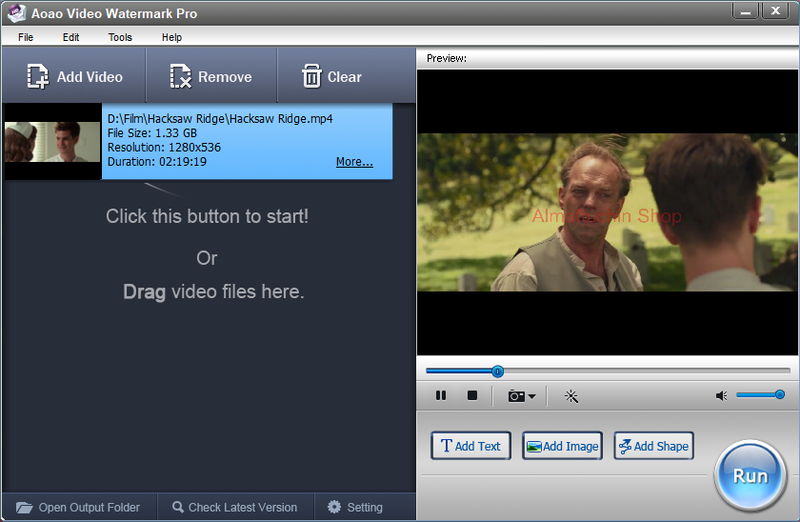 Aoao Video Watermark Pro enables user to embed text, image, logo, sign (includes animated sign to your videos in batches. With friendly and easy-to-follow interface, user can feel extremely convenient to operate it. Up to 10X faster conversion speed makes you avoid waiting for a long time. Just with a few of clicks, you can watermark a batch of videos. 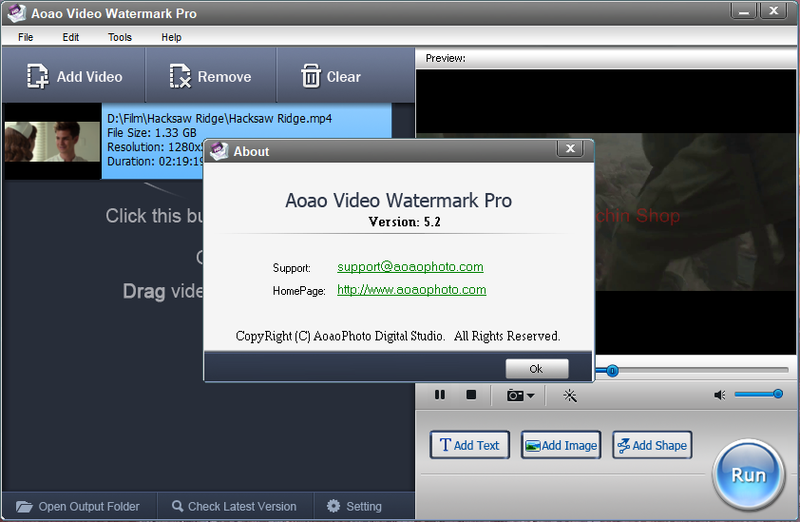 All in all, Aoao Video Watermark Pro provides the excellent solution to protect your original work. Provide rich settings (like opacity, rotation, font options, etc). Add copyright symbols C, R and TM to video. 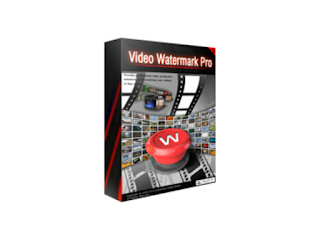 The image watermark can be logo, icon or any image files. Over 200 samples provided for free. 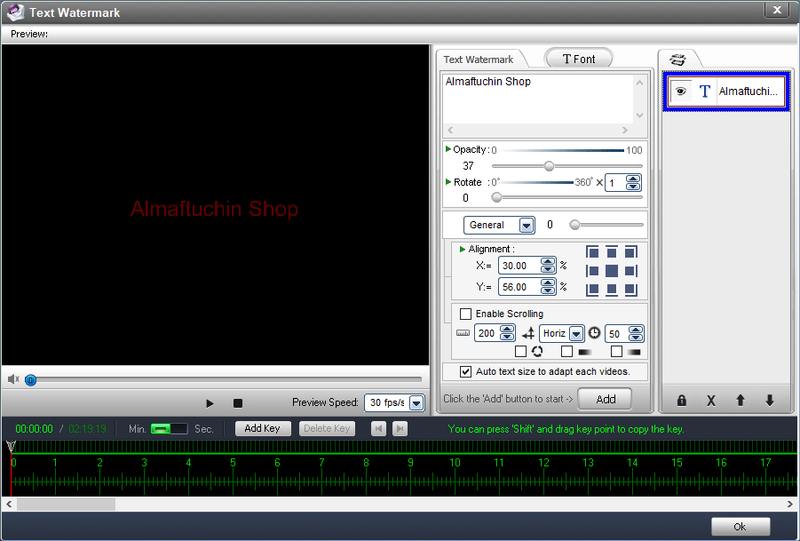 Create a line segment, curve, rectangle and oval shape to video, as well as an arrow. 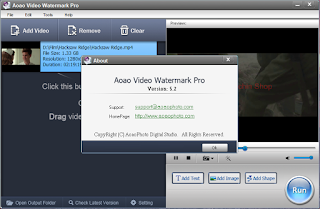 Aoao Video Watermark Pro well supports all popular video formats on the Internet, including AVI, MPEG, WMV, MP4, MKV, 3GP, RM, FLV, SWF, etc. It also enables user to convert file to any format mentioned above.